Hastings Deering recently assembled and configured a section of an underground longwall to enable operational testing of the integrated system. With over 100 longwall modifications and upgrades having been executed, running over 1200 individual tests in a safe environment would significantly improve production ramp up outcomes and better ongoing reliability. Hastings Deering has taken its compatibility testing to the next level by assembling a complete section of a longwall in their Mackay workshop that ensures major equipment modifications and upgrades are fully integrated before the equipment returns to site. To achieve this, a longwall was configured in the workshop to enable testing of the integrated system under operation. 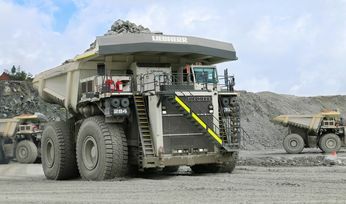 The set up combined a Caterpillar EL3000 Evo Shearer, Armoured Face Conveyor, front and rear maingates and tailgates along with four roof support shields. Steering the project, Hastings Deering Underground Coal, Mining Large & Expanded Products Manager Jason Clery said the mini-build allowed for proof testing to be conducted in a safe environment enabling a more efficient and quicker re-commissioning of the equipment once underground working the next coal panel. "Once installed underground, a longwall is 350m long," Mr Clery said. "Our workshops are 100m long and 32m wide, so we were able to build a 75m longwall mini-build to conduct the commissioning in the workshop. In fact, we can assemble up to 40 roof supports in our facility. "The logistics were incredible, with a steady stream of trucks being required to transport the equipment components to our facility and back to site. "Over the course of the overhaul various components made their way through our, our Gearbox Overhaul Centre, Electrical and Electronics Workshops, Electro-Hydraulic Valve-shop, Shearer Overhaul Centre, Fabrication Workshop and finally to the general fitting and assembly bay." "As well as the equipment overhaul, there were over 100 modifications," Mr Clery said. "There were approximately 1200 tests conducted; everything from initial function testing of major components and post repair testing of individual components to major component and full system commissioning. "At the end of the day it is all about reducing and mitigating risk. If we can do all this testing above ground in a workshop before the unit goes back to work, we can more closely monitor and evaluate the modifications with our longwall technical resources and fine tune adjustments as necessary. "The benefit to our customer is confidence that their equipment upgrades and modifications are fully integrated into the system ahead of its return to work to ramp up for production in its next underground panel. The Hastings Deering Group is one of the top Cat dealers worldwide.We're the exclusive distributor for the sale of Cat equipment, technology solutions, parts and service support in our territories. 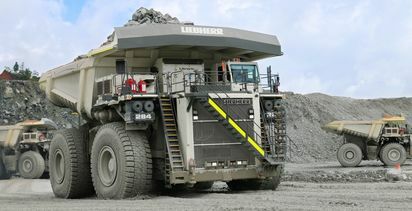 Upping payload capacity by 12t.